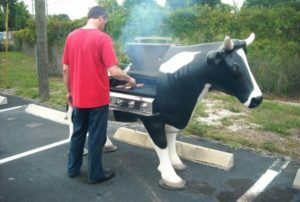 Enjoying a perfect barbecue is tough in apartment living – even if your state and city may be fine with it, but sometimes landlords might have restrictions due to the smoke associated with it. 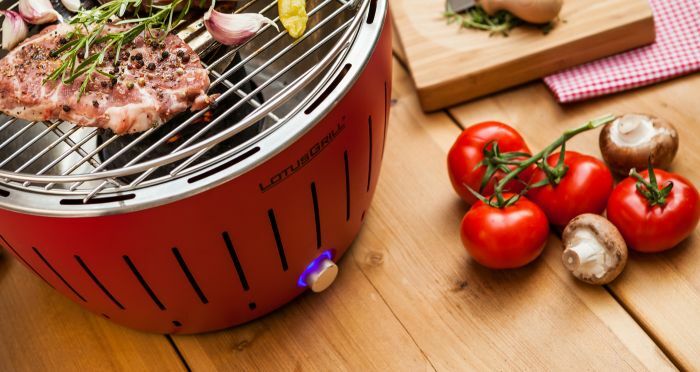 But now Lotus Grill is here to resolve all your barbecuing woes in apartments. 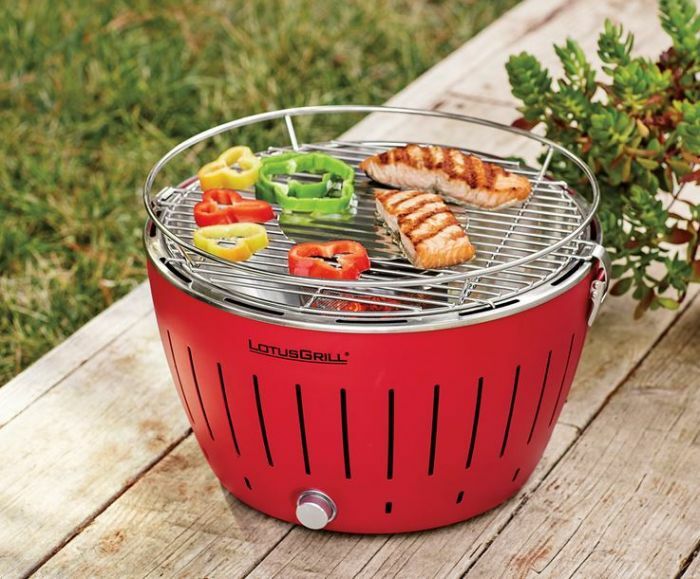 It is a battery-operated charcoal grill featuring a lightweight and portable design. 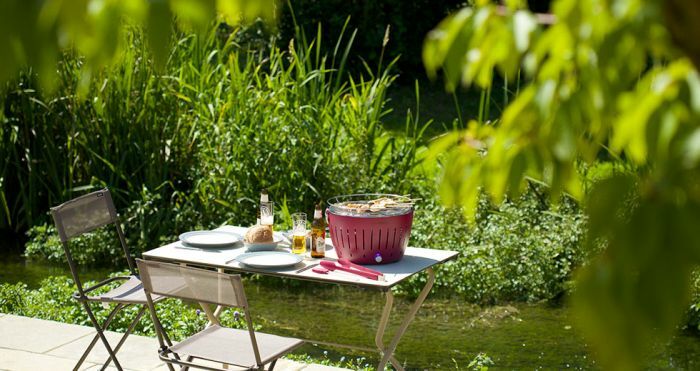 Moreover, it is a smokeless grilling unit so that you can enjoy barbecued food even if your landlord doesn’t allow you to set up an outdoor BBQ. Recently, this charcoal grill was on display at the 2017 International Home and Housewares Show. It is available in a variety of sizes, but they all work on the same basic principle. Using lighter gel, similar to the kind that fuels Sterno candles, you can get the grill going in about three minutes. 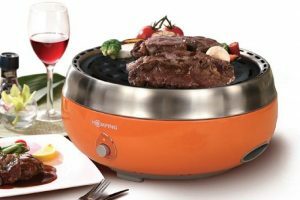 It consists of a double-walled bowl, ignition plate, stainless steel inner bowl, charcoal container and lid, and the grill top. 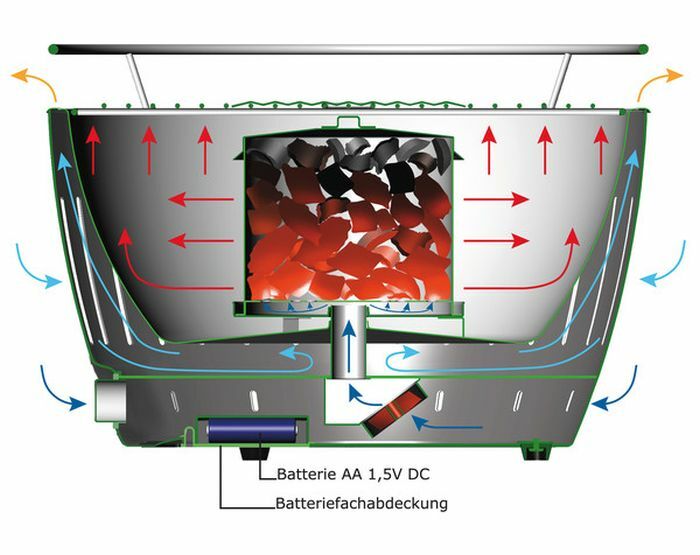 The charcoal chamber’s lid prevents the juices from dripping onto the charcoal, which causes smoke. 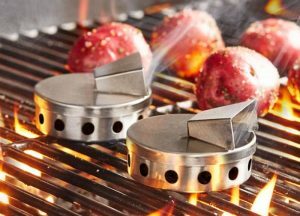 The outer bowl doesn’t get hot – this means you can put the grill on virtually any surface. The temperature of the grill can be adjusted with a knob, which even speeds up or slows down the fan. 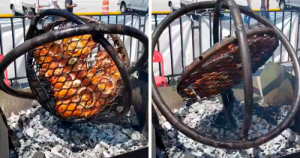 To be precise, the grill gets up to about 660 degrees Fahrenheit (350 degrees Celsius). 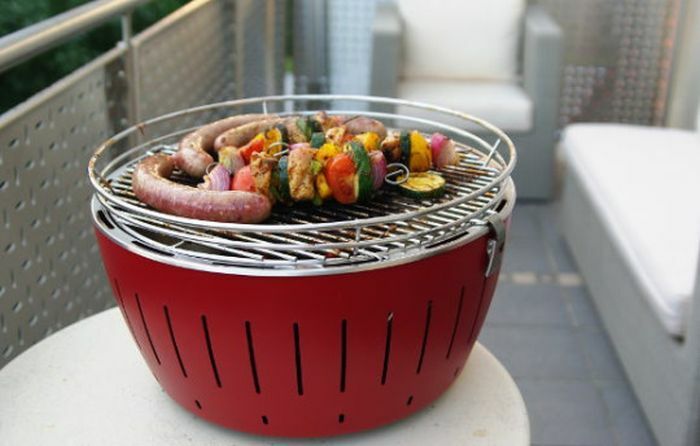 The grill also comes with an optional lid that makes it more versatile. With this lid, you can even make pizza, bread, and muffins. However, due to the use of charcoal, you’d not want to use the LotusGrill indoors. But its lightweight and compact size make it a pretty good beach or camping option. 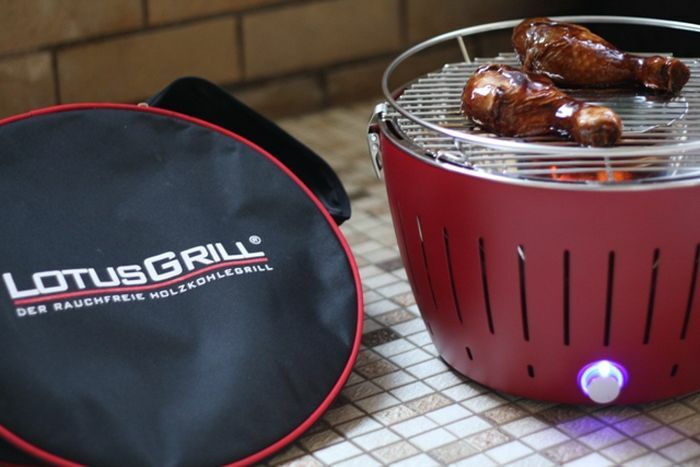 You can purchase it online for just $189 and make your BBQ easier even in small apartments.